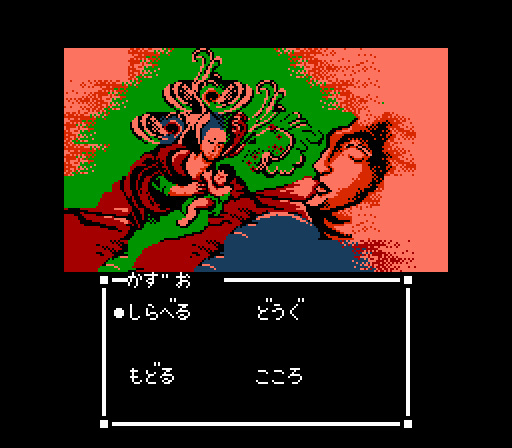 Videogames made to tie in with movies have never been anything new, not even way back in 1989 when Capcom’s adaptation of Japanese horror movie Sweet Home hit the Famicom. What sets Sweet Home apart from the usual licensed fare is that not only does it vaguely resemble the material it’s based on, but it’s also a timeless classic in its own right as well. Like the movie, the game is a horror story set inside a Japanese mansion – a mansion that’s haunted by the ghost of a woman who, in life, kidnapped and killed children so that her deceased son would have someone to play with in the afterlife. 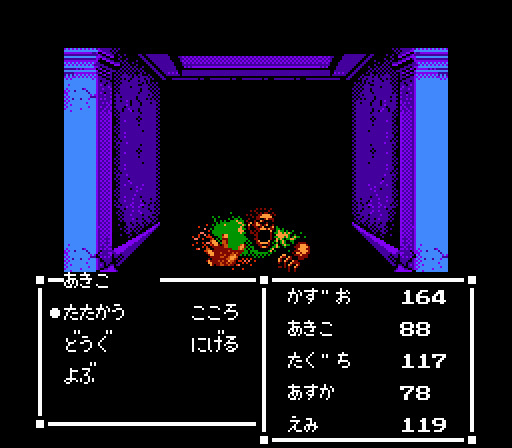 Five people go into the mansion… how many leave it alive is up to you! These days creating a horror game is a relatively straightforward affair; consoles are powerful enough now that chilling 5.1 surround sound and as much gore as you can be bothered to display are standard features, but twenty five years ago things were naturally very different and Capcom should be applauded for creating a game that genuinely makes the player feel uncomfortable on such limited hardware. So how do you fill players with a sense of dread when your character sprites are lucky to have five whole colours (including black) between them? When you can’t simply show the horror that’s going on inside the mansion, you make them live through it instead. The biggest, and perhaps simplest, way they achieve this is by forcing you to spend most of the game doing the one thing that’s always a bad idea in a horror movie – split up. Even better, the maximum party size is just three people so no matter what you do one team will always feel at a disadvantage – and your “main” team will never have everything they need to survive. Further semi-random events keep players on their toes and add to the sense of uneasiness – perhaps a chandelier will come crashing down on their heads or spirits will grab a team member and whisk them away to another part of the mansion. While the mansion may be filled with the spirits of the (un)dead your small team of five are actually a bunch of very ordinary people, and just like ordinary people when they die they stay dead – in Sweet Home there is no safety net to catch you if you make a mistake. 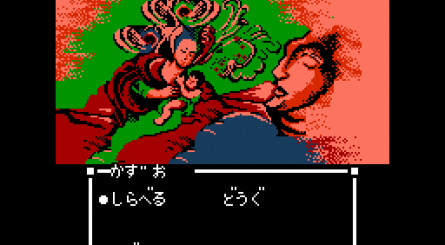 Well… there is one small concession: as your team all possess unique abilities that are required to complete the game players will find a few items dotted around that can do the same job – for example, matches to replace Kazuo’s lighter. Of course these items require more legwork to acquire than using the key items each character has with them, which means your already-weakened teams are more likely to run into enemies. Carrying around these extra items puts further pressure on your team in another way too, by eating into precious inventory space. Everyone has access to their unique item, a single weapon, and two inventory slots each for everything else; so every broom and other knick-knack is taking up space that could otherwise carry a precious medicine bottle or an item needed to progress. Thankfully items can be dropped on the floor or directly swapped with another party member if needs be – something Capcom’s Sweet Home-inspired Resident Evil series wouldn’t manage until Resident Evil 0 in 2002 – thirteen years later! 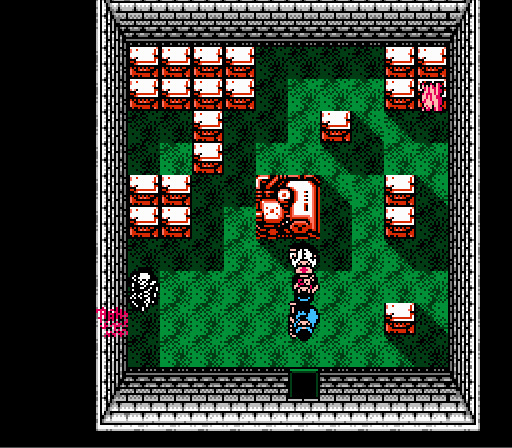 Once you get past the messages scrawled on the walls in blood, rooms that suddenly burst into flames and dead bodies strewn about the place and start fighting the game plays remarkably like an RPG. 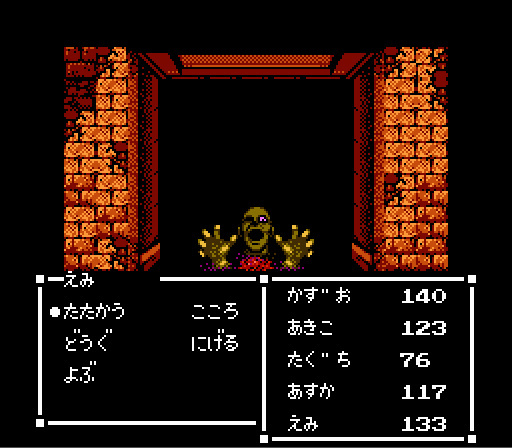 Battles occur randomly as you traverse the mansion, switching to a turn-based battle system and a forward-facing view of your enemy that will feel mostly familiar to fans of the genre. 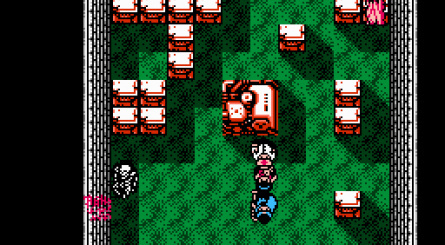 Sweet Home does more than just swap out slimes for zombies though: due to the complete lack of RPG-like shops and inns and your total reliance on scavenging for new equipment and healing items you fret over every blow, even if the individual encounters themselves aren’t usually all that tricky. 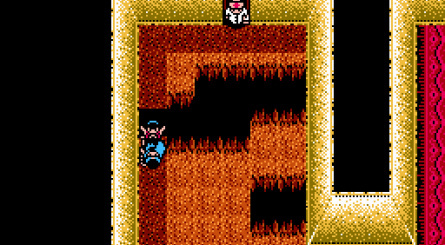 If you do find a team overwhelmed then you can call the other party members over for back up – and in yet another unique twist they don’t magically teleport to their side but the player is required to rush the other team to their aid, making for some frantic moments when you remember that you left the other team several rooms away. Sweet Home is proof that less can definitely be more. 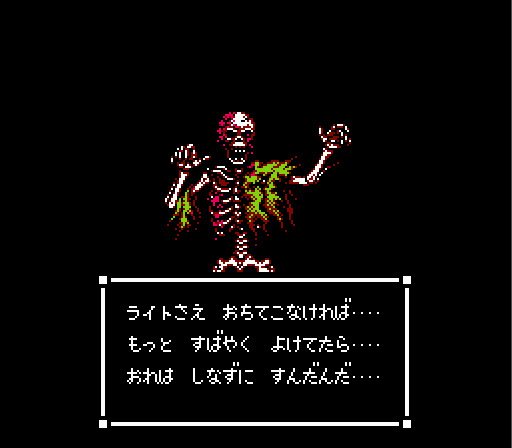 Jump scares and gallons of gore were kind of difficult to do in a twenty five year old Famicom game that’s ultimately a glorified turn based RPG, so whether by accident or design they went for the far more unsettling “You’re outnumbered, underpowered, and everything here wants to kill you” style of horror instead; it works, too. 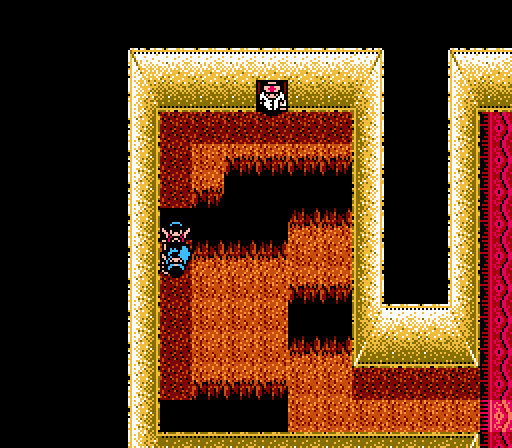 Sweet Home remains an unforgiving, but not unfair, experience and something all gamers owe it to themselves to try. Excellent write-up! I have always wanted to play this! The visuals are pretty amazing. And then along came Nanashi no Game. 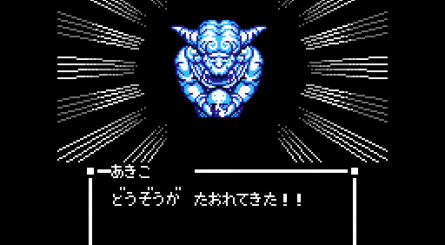 Quite sure i'd pay for a translated version on the Wii U eShop. I'm normally not a fan of RPG's but it all sounds so unique and intriguing. Sounds pretty intense, which is really getting rare nowadays. Lately, it's sloppy wannabe-jump scares (Slender is a good example of that), or it's just a disgusting gorefest (looking at you, Dead Space). I'd love to try this game, so here's hope that Capcom might consider an international VC release. I'm a huge fan of the Resident Evil franchise and have wanted to play this for a long time! my buddy told me about this game a while ago and i gave it a try. I have a fan translation on a Dreamcast disc. Great game, definitely should have been released outside Japan. It's a travesty that Sweet Home never had an official release outside of Japan. 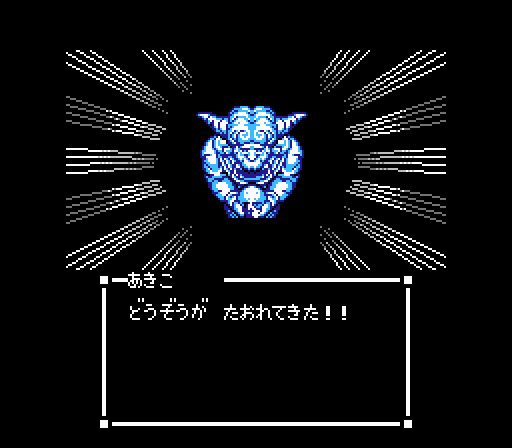 Oh well, I have my fan translation on a cartridge. This gem, and Nanashi no Geemu, both excellent horror games I'd suggest any fan of horror should play! I got a repro of this game for my NES. Was a pretty good game, hadn't seen the movie yet but someday I'll try to seek that one out too. 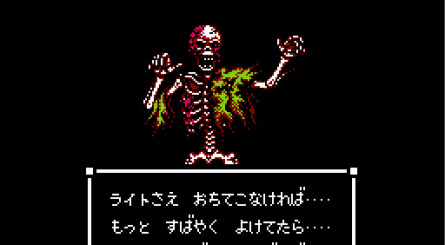 I wish Nintendo could translate old games like this and put em on the Virtual Console. 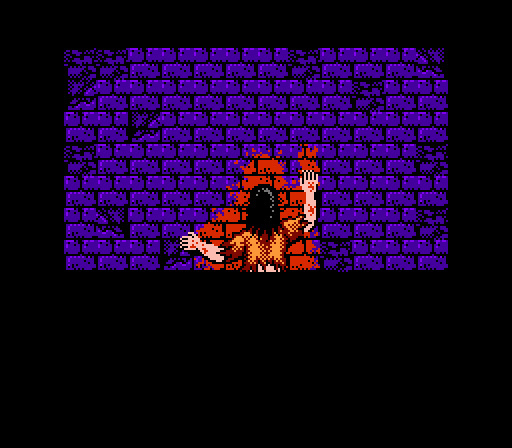 If you can, give Splatterhouse Wanpaku Graffiti a try. 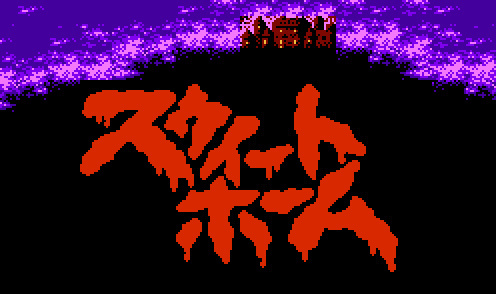 It's a super-deformed spinoff of the original Splatterhouse franchise, and it's as good as it sounds. I think this game is a cool idea but I tried it the other day and it's clunky as hell. A couple of key elements haven't held up well imo and in fact were probably just as bad even when it was first released. The menu system is very convoluted and given that you have to use it all the time, it really does detract from the rest of the game. Other than that I think it's a pretty cool idea though. I wouldn't mind seeing a modern take on the basic game actually. Its a real "guide dang it" fest, but still, the whole concept is brilliant. RPGs and survival horror mix up rather well, sadly, they dont do it often enough. Survival Horror is all about inventory / recource management, which translates well into old school RPG formats and can get quite tense. But like others said, who had the chance to play the fan translation probably knows, that this game didnt age all to well. And i dont see them ever experimenting with such a genre mix ever again (especially not capcom). another game i still need to play!! nice article! @TobiasAmaranth Well, there goes my urge to sleep. I'd love to play that, I bet the music is pretty creepy too.